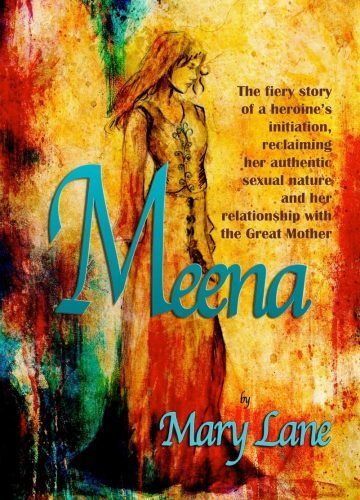 Meena is the fiery story of a heroine’s initiation, reclaiming her authentic sexual nature and her relationship with the Great Mother. Never has it been so clear that the gifts we offer are a vehicle for our own soul’s growth. At least, this has been my experience while taking the journey of writing my book, Meena. “Am I writing this story, or is it writing me?” I asked myself regularly as I was carried along in the current that flowed from my soul onto the paper. Never mind that I had never written a novel, or that I sucked at punctuation. The story wanted to be written anyway. “So figure it out,” was the message. I marveled at the realization that the story had so much to do with letting go of the deeply embedded wounds that hold us back, and to clear the pathway to our soul’s reclamation of authenticity. And here I was in the midst of it, myself. The blocks were illuminated and demanded my attention. In fact I had a complete meltdown, triggering a horrifying end to a past life when I gave the story to the first five readers. If this was my reaction to only five people reading the book how will I do with thousands? Busted was the illusion that if it was right for me the waters would part and it would be easy. Forget about the fantasy that all you need to do is show up every day at the same time, and with enough discipline you could ‘make’ the book happen. No, not for me. This was not a project to ‘get done.’ This was a journey. And there were times that called forth the writing, and there were times that I had to step back and go through the healing and integration of what was written. On the practical side, writing this book required I take a full semester of creative writing at the college. After I completed that I had to hire the instructor as a private mentor, who often times threw the passages back at me unforgivingly, and declared it was crap. He relentlessly turned me into a writer with the perseverance and patience of a cat stalking its prey. And then, of course, I needed him to edit my punctuation. Why am I sharing this with you? I wonder if it is your experience as well to be so driven by one of your soul’s callings that you somehow find yourself doing whatever it takes. For those who get halted because you are pushed up against the wall, do you let it stop you? The world is in desperate need of us to take our place at the table with our gifts and authenticity. We have been told for so long that not only are we not good enough, have more important things to attend, we’ll be crucified, or it should be easy. Or worse—”if we were doing what God intended us to do it would look like us being hung on a rung and branded a martyr or victim. It is way too selfish to do something for ourself. But, what this ‘project’ has taught me is that if we are doing what we came here to do, it can not be separated from doing it for ourself. Now, I am sitting here holding my book in my hand with my name on the cover. I am blown away that I have reached this point on the journey after five years of unwrapping this gift that reflects lifetimes of experience. I rest my soul in the lap of peace that I feel from this accomplishment, and I am excited to share with anyone called to read it. Yes, I am no longer terrified to have it read. It gives me great comfort to know there are millions of us who have returned to offer the wisdom and gifts that our world needs to survive. I hope the story I have written will offer some support on your journey of reclamation, empowerment and connection with yourself and our Great Mother. 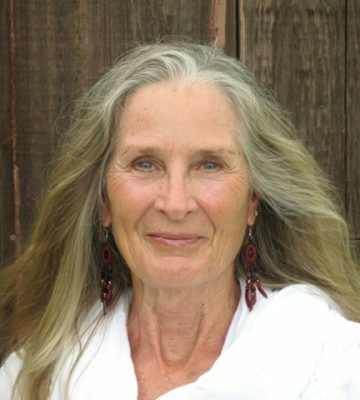 Author of the book Divine Nourishment – A Woman’s Sacred Journey with Food, Mary Lane has a 30-year career as a chef, in which she awakened and deepened her understanding in how our relationship with food could support us to heal and reclaim the Divine nature of our human journey of transformation. She connects the dots between this deep collective healing, what we eat from season to season in our local environment, and how it can nourish us on the physical, emotional, and spiritual levels. Mary offers classes, workshops and private consultations on eating, cooking and living seasonally to align with the rhythm and flow of our environment, and provides intimate nourishing seasonal nature retreats for women. Mary Lane will share her wisdom at the next OneDanceTribe Hawaii event January 19-25, 2017 on Maui, Hawaii. The fiery story of a heroine’s initiation, reclaiming her authentic sexual nature and her relationship with the Great Mother.